Visual novels can come in many different flavours depending on their target demographic. Some opt to be straight out dating sims, while others look to tell mysteries, and of course others try and combine the aspects of both. 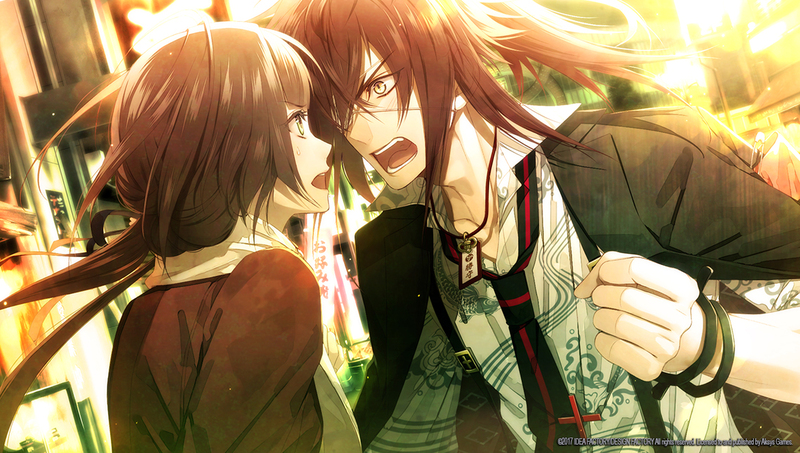 Collar X Malice is the latest title from the Idea Factory's Otomate department to get a western release, courtesy of Aksys Games, and a textbook reminder that otome games can have universal appeal. It greatly succeeds by providing a tale that should interest all visual novel fans, not just those the otome sub-genre is usually targeted at. Collar X Malice's premise greatly interested me from the start, surrounding a series of murders claimed by justice-seeking organisation called Adonis. The game follows Ichika Hoshino, a rookie officer working in a newly-established, community-focused department trying to help prevent panic stemming from the X-Day murders, which have occurred on a monthly basis counting down to the mysterious X-Day, and resulted in Shinjuku being placed under a quarantine. Ichika becomes embroiled in these when she is kidnapped and has a collar placed on her, which is ready to inject poison at its creator's command. She is rescued by a group of (mostly) ex-cops who are investigating the X-Day murders on their own, though Adonis apparently knows about them. Identified as a potential sympathiser by Adonis, they request — with preventing her own death being a rather good motivating factor — that Ichika joins forces with the group to investigate the incidents and learn the true motivations. 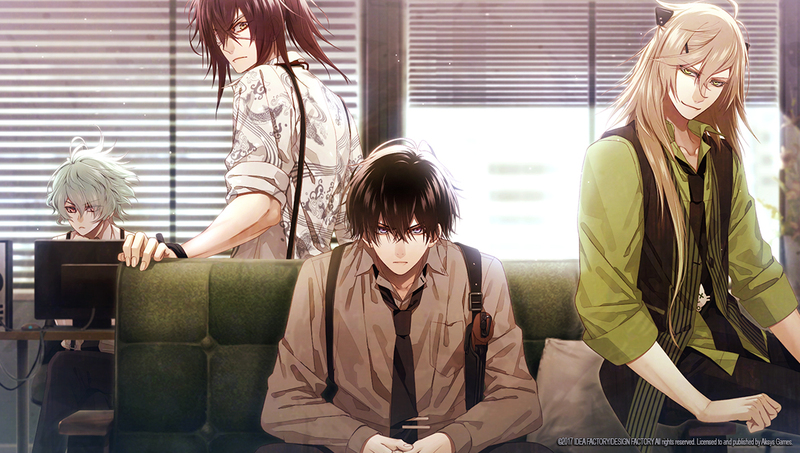 Of course, being an otome game, this group features five eligible bachelors, though the game is appreciably more about the overall tale, blending any romance in with that rather than shoehorning dating sim aspects as some other titles tend to do. The way the game handles the routes works well. Rather than sharing a common route for a substantial period of time, the routes split off very early in the proceedings. Four characters' routes are available from the start, each of these focusing on one particular X-Day case, and completing all of these will unlock the final character's route (arguably the true route) that manages to give the overall picture of what happened as well as reveal who is truly behind all the events. There is also good overlap between the routes, as things that happen in one will come up in others in one way or another, sometimes giving neat context to potential bad ends or even being changed by the decisions made in it. One route in particular helps offer a vital clue as to who the overall mastermind is. Initially, I had planned on playing one or two routes and leaving it there, but as I learned more of the game's structure and aims, and thanks to the snippets of information gleamed from those routes, I was easily sucked in to going back for more. The way each route builds up both its individual tale of justice and revenge is great, but the way it also builds up the overall tale during this process is what provided the impetus for me to keep going back. The suspense in Collar X Malice works excellently, and the handling of Ichika's relationships is very well done. This doesn't just apply to the character whose route was chosen, but also to Ichika's relationships with her coworkers, her brother, and even those placed under suspicion for the murders. The romance is nicely handled as Ichika's fondness for the characters grows and the characters themselves learn to come out their shell and open up to her, and it works well that it's always against the greater backdrop of the terrorist dealings and trying to investigate those first and foremost. The style of the game is superbly brought to life with great art and some excellent Japanese voice-acting that brings out each characters' eccentricities. The music aids things as well, with some decent variation that matches the various themes for each scene. Aksys Games' localisation does a very nice job overall, but there are some misplaced breaks or tags that caused things to be a bit out of place. Fortunately, these don't affect enjoyment and readers will most likely automatically correct them mentally anyway. It's also worth noting a nice touch in how the game colour-codes its choices, between key choices that affect the plot (potentially leading to bad ends) and those that affect the route character's trust or affection towards Ichika. It's definitely one of the better looking visual novels out there. 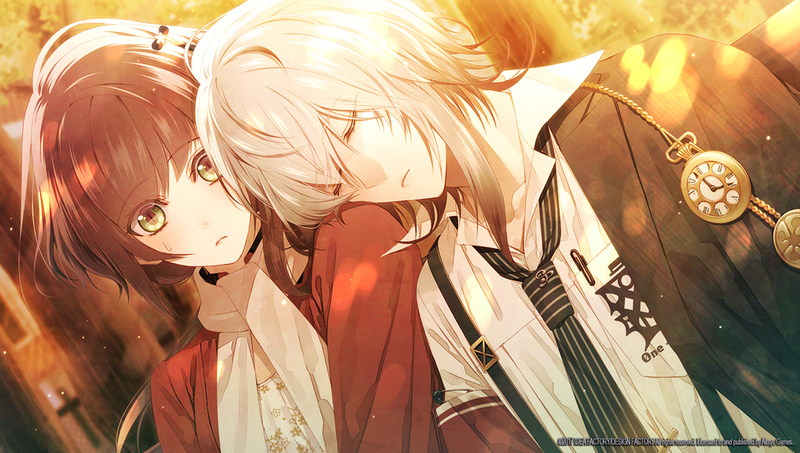 Collar X Malice is one I would easily recommend to any with an interest in visual novels overall, let only otome fans. Already built on a fascinating tale of intrigue and suspense, the game is only helped by a magnificent cast and stylish telling. I was not expecting that I'd play through it so thoroughly, but once it drew me in there was no getting out without seeing all it had to offer, and I'm very glad it did. TLDR A great thriller that will easily engage readers as they aim to learn more about the events and stellar cast. Enjoyed By? Anyone looking for a suspenseful tale with a fantastic cast of characters.